"Disclosure: This post was sponsored by Simon Premium Outlets through their partnership with POPSUGAR. While I was compensated by POPSUGAR to write a post about Simon Premium Outlets, all opinions are my own." I spent this past Sunday at Camarillo Premium Outlets getting a head start on holiday shopping while reliving a slice of my childhood. 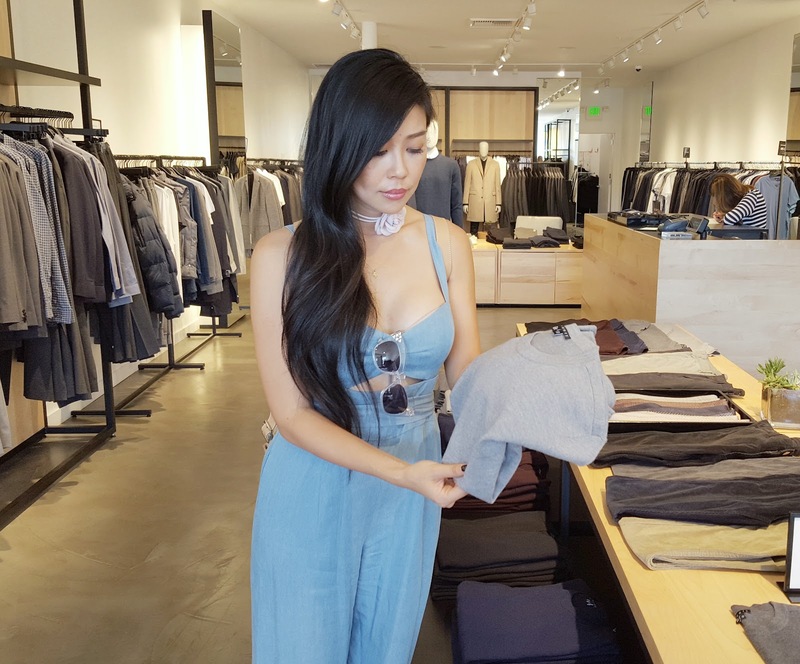 Growing up, my family spent quite a few Sundays taking day trips to Cabazon and Camarillo as they were no-brainer destinations for affordable designer goods. Each trip was a marathon and at least six hours in duration as we'd leave only after hitting up every single store with bags atop of bags in our trunk, a driving hazard for sure. I promise my parents aren't Shoppers Anonymous members as most of the purchases were for our overseas relatives. Back then, American designer goods were scarce and super expensive in China so every time my parents went back for a visit, they'd bring suitcases filled with polos from Ralph Lauren, Kate Spade and Coach handbags, and lots of perfume from every brand imaginable. They basically played Santa to the Wu clan! A big reason I wanted to start my holiday shopping early is because I missed out on all of it last year racing on The Amazing Race. Plus, inventory is still high right now while fall discounts are already fully underway! My Mom loves big roomy handbags as she carries everything but the kitchen sink. A few weeks ago, I found an address book, an orange, a complete manicure set, and her iPad in her everyday purse along with the regular essentials. Michael Kors is one of her favorite designers and I love that their bags are made for women who have a lot of things going on in their purses. The designs are functional, expandable, and stay true to MK's stylish roots! On our very first outlets trip many moons ago, my Dad stood in front of Tommy Hilfiger and proclaimed that the brand was as American as apple pie and thus we needed to shop at TH as part of our assimilation experience. I never forgot his words so I thought it would be a fun throwback to give him a few things from Tommy Hilfiger this Christmas. My Dad has a closet filled with polos but there's always room for more! He's also been talking about getting a lightweight jacket for his morning walks and TH had an entire wall of jackets to choose from, all marked down at least 40%! My brother is currently in China embarking on a life-changing journey that may take him to other parts of the world. Since he's a huge music buff who loves being surrounded by sounds of music 24/7, I wanted to get him a pair of noise-canceling headphones from Bose for those long flights so he can enjoy his music anywhere, anytime. I also picked up a few sweaters for him from Theory as his Burning Man outfits just won't cut it in the professional world. The Theory store has an amazing selection of fall coats, sweaters, and well-tailored pants-perfect wardrobe-building pieces for young professionals. I love shopping at the Theory outlet as the prices are amazing and I don't have to worry about their classic pieces ever going out of style. After shopping all day for my family I couldn't resist the urge to treat myself to a little something. There was just too much eye candy to resist! I picked up a classic white shift dress from J.Crew to complete the look. 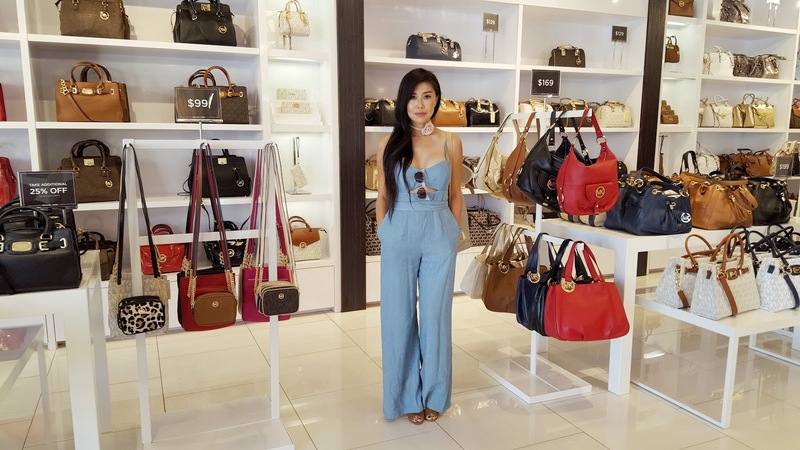 I had such a wonderful day at Simon Premium Outlets in Camarillo reliving a family tradition while picking out presents for the entire family! 'Tis the season to shop!